Ben Franklin said that “time is money.” Therefore, every day our team looks for ways to improve Kanban Tool so you can work faster and save your valuable time. Today, we are happy to introduce a new power-up which will enhance your performance. 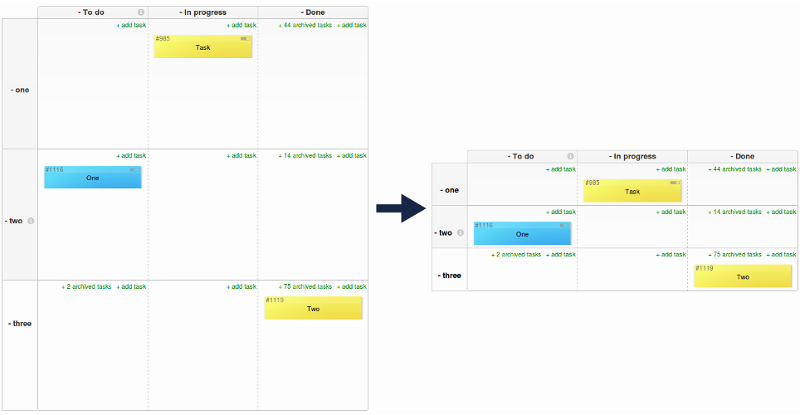 "Add task box" power-up speeds up creating new cards on your kanban board. It adds a simple box at the end of each list, allowing you to enter new tasks quickly. That's not all! We have prepared for you a new power-up script that will help you save space on your board. "Swimlane height" reduces minimal swimlanes height by adjusting it to the number of cards per swimlane.